We’d love your help. 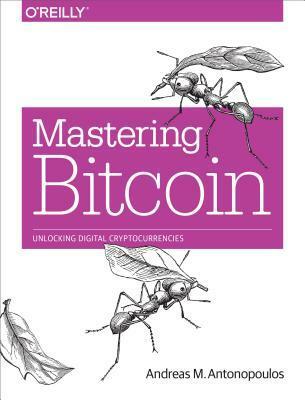 Let us know what’s wrong with this preview of Mastering Bitcoin by Andreas M. Antonopoulos. Want to join the technological revolution that's taking the world of finance by storm? Mastering Bitcoin is your guide through the seemingly complex world of bitcoin, providing the requisite knowledge to help you participate in the internet of money. Whether you're building the next killer app, investing in a startup, or simply curious about the technology, this practical Want to join the technological revolution that's taking the world of finance by storm? Mastering Bitcoin is your guide through the seemingly complex world of bitcoin, providing the requisite knowledge to help you participate in the internet of money. Whether you're building the next killer app, investing in a startup, or simply curious about the technology, this practical book is essential reading. Bitcoin, the first successful decentralized digital currency, is still in its infancy and it's already spawned a multi-billion dollar global economy. This economy is open to anyone with the knowledge and passion to participate. 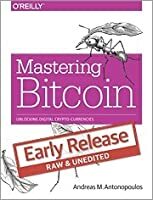 Mastering Bitcoin provides you with the knowledge you need (passion not included). To ask other readers questions about Mastering Bitcoin, please sign up. I think this is the only book of it's type that really helps you dive down into the technical details of Bitcoin. It's showing it's age a little, but the fundamentals haven't changed all that much. I've been holding BTC for years, but I finally feel like I "understand" it. Thanks for writing this book! As a technologist and investor in Bitcoin, coming from a value investing background, I felt uncomfortable getting lucky investing in Bitcoin based on speculation as it was hard to wrap my mind around the utility and potential of Bitcoin. Reading Mastering Bitcoin has significantly improved my understanding of the Protocol where I finally feel like I’m starting to get it. The book goes over the technicals of how Bitcoin works from keys, addresses, wallets & transactions, the scripting languag As a technologist and investor in Bitcoin, coming from a value investing background, I felt uncomfortable getting lucky investing in Bitcoin based on speculation as it was hard to wrap my mind around the utility and potential of Bitcoin. Reading Mastering Bitcoin has significantly improved my understanding of the Protocol where I finally feel like I’m starting to get it. The book goes over the technicals of how Bitcoin works from keys, addresses, wallets & transactions, the scripting language, the blockchain, the bitcoin network, mining, bitcoin security and more. This is a technical book, and the examples take some understanding of Computer Science, high-level cryptography, Networking, statistics, and mathematics to follow through as Andreas drills down into the underlying technical implementations behind the core features of the protocol. History of bitcoin and a very detailed description of bitcoin and blockchain functionality accompanied with source code snippets to see how it is coded in real life applications. Good introduction into blockchgain for techie people. An excellent overview of Bitcoin that simultaneously presents the big picture in a very readable way while also providing very specific details of how the protocol works, complete with examples. Technical writing, as it should be. Great peek into the technical aspects of bitcoin/the blockchain. Having read more high level descriptions, I was always curious about the implementation details. This book provides quite a satisfactory introduction to this universe. I read Cryptocurrency by Paul Vigna and Michael Casey and I loved it. I was so mesmerized that I immediately sat down and wrote an eight page stream-of-consciousness account of what it left me thinking Bitcoin was. And in doing so I realized that I did not have a full grasp of the detail. Worse still, I also realized that when it comes to cryptocurrency the devil truly is in the detail. I’m a loser, so I read another book instead. Th I read Cryptocurrency by Paul Vigna and Michael Casey and I loved it. I was so mesmerized that I immediately sat down and wrote an eight page stream-of-consciousness account of what it left me thinking Bitcoin was. And in doing so I realized that I did not have a full grasp of the detail. Worse still, I also realized that when it comes to cryptocurrency the devil truly is in the detail. I’m a loser, so I read another book instead. This book. I am beyond satisfied with my choice. Immensely satisfied. I say I loved Vigna and Casey’s book, but I liked Mastering Bitcoin more. It went through all the little nagging issues I had and one by one gave me the answers. And it gave answers to questions that had never occurred to me but in retrospect are very relevant. this book not only supplies the necessary computer code (and I could not possibly comment on whether it’s correct or not, I can’t code to save my life) but also fully motivates the reader to understand. And it takes you to places you’ve never been before, from Elliptic Curves all the way to Alt Coins. I wanted to read a book detailing the opportunities and landscape of the industry. But this book delves deep into the technical implementations of Bitcoin. Wasn't exactly what I was looking for. First couple chapters are a nice, basic description of Bitcoin protocol, how it works. The rest is technical. Clear. Side note. Andreas is too much in love with bitcoin and there were so much hype in the area that everyone forgot 1) this technology is free to access and improve for anyone, and 2) that Bitcoin economic concepts are amateurish and as a consequence - creating procyclical behavior. Way better and useful in practice things for me currently are smart contracts, DApps and private blockchains. And bitcoin... bitcoin is dead here, too slow to move to the next (censorship resistant, like Andreas says, and user friendly) level. This was a great technical overview of the inner workings of Bitcoin. It gave a good introduction for any intelligent audience, but then dived into all of the technical details. I had to pause to look up some concepts at times, but adding more detail would have made the book too long. This book did not fully cover the economic or business implications of Bitcoin, and was instead intended for developers. Andreas is definitely my favorite person in the cryptocurrency world. He makes this deep and complex topic fairly accessible to laymen. The basics of cryptography are explained, however I still recommend reading some introductory material in the field before starting. I will definitely refer back to the book as It includes the hottest topics in the field, like the Lightning Network. Wanted to understand more about the underlying tech. Decent walk-through at a technical level, but found myself somewhat puzzled by how the author went through some explanations. This book has a lot of technical stuff most of which went way over my head. Still, I learned a lot from this book. What do I miss for now? One of the best (technical) books I have read recently! It provides a lot of information about cryptocurrencies and bitcoin in particular. I like the balance between technical and non-technical information in the book. Plus, the technical one is described in an interesting way (this is often a big challenge). It gave me a good in-depth knowledge about bitcoin. As good a technical manual as anyone could ask for. The contents of this book are a treat for those curious and with a little bit of background in computer science. Cryptography, bloom filters, peer-to-peer networks, decentralized trust -- it just doesn't get much better than this. Antonopoulos is a skilled tutor and, for having picked up English as a second (or third) language, does a commendable job of making things that are conceptually murky quite clear. The prose is to the point but not with As good a technical manual as anyone could ask for. The contents of this book are a treat for those curious and with a little bit of background in computer science. Cryptography, bloom filters, peer-to-peer networks, decentralized trust -- it just doesn't get much better than this. Antonopoulos is a skilled tutor and, for having picked up English as a second (or third) language, does a commendable job of making things that are conceptually murky quite clear. The prose is to the point but not without character; again, about the best you can ask for in technical readings. a) why it takes ~10 minutes to generate a block? b) who sets the target complexity for the new block? It's a very good overview of Bitcoin technology for a beginner. Has the right mix of high level concept and technical details. At the end of the book the reader has a full grasp of how blockchain for Bitcoin works. Recommended for novices wanting to get hands dirty with nitty gritty of it all. Great introduction to Bitcoin. The first two chapters are accessible to all - beyond that, you'll need at least a little bit of a technical background. It's not often that a promising technology and hype coalesce. Most recently, that occurred with Bitcoin. Bitcoin is a decentralized digital currency; while still relatively new, it has created a new global economy. In the second edition of Mastering Bitcoin: Programming the Open Blockchain, author Andreas Antonopoulos creates a first-class Bitcoin reference. It provides the reader with a comprehensive understanding of what Bitcoin is, how it works, and how to use it. Antonopoulos provides the rea It's not often that a promising technology and hype coalesce. Most recently, that occurred with Bitcoin. Bitcoin is a decentralized digital currency; while still relatively new, it has created a new global economy. 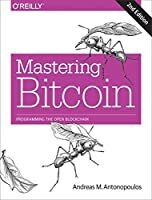 In the second edition of Mastering Bitcoin: Programming the Open Blockchain, author Andreas Antonopoulos creates a first-class Bitcoin reference. It provides the reader with a comprehensive understanding of what Bitcoin is, how it works, and how to use it. Antonopoulos provides the reader with a deep technical dive and does a good job of explaining the difference between Bitcoin (a digital currency) and blockchain (its public transaction ledger). People confuse the two, thinking they are the same. The book is written for end users who want to understand the technology and programmers who want to create technologies and software to operate within the Bitcoin ecosystem. There is a good amount of software code in the book. Those who lack the programming background can simply skip those sections. Bitcoin's operation is not like that of a conventional currency. It lacks any central authority, and, in fact, decentralization is a core element. Combined with its peer-to-peer architecture, it nonetheless can provide near-complete transaction anonymity and highly effective security. The core areas of the Bitcoin ecosystem are discussed here—from wallets, transactions, and blockchain to the underlying security and cryptography that make Bitcoin a trusted and secure digital currency. This is an excellent launch point into all things Bitcoin. Well written and with numerous technical pointers, it is meant for non-technical and technical alike. The author never makes the topic of Bitcoin and blockchain dull or boring. He uses clear explanations of transactions to impart how the whole system works. And why it works so well. At the same time, there is code. The code helps in digging into the blockchain and exploring it directly. Also how to construct a wallet and interact with the This is an excellent launch point into all things Bitcoin. Well written and with numerous technical pointers, it is meant for non-technical and technical alike. At the same time, there is code. The code helps in digging into the blockchain and exploring it directly. Also how to construct a wallet and interact with the blockchain. While definitely Bitcoin focused, there is a lot that can be applied to other blockchain implementations. Bitcoin started it all. The author has an Ethereum book coming in the summer & I'd expect it to be as well written. From when I first learned about the existence of bitcoin, I've had a vague understanding of generally how it works, but I had never taken the time to actually dig deep. This book is a fantastic deep dive into the nitty details of bitcoin, going as far as explaining the byte layout of transactions and blocks. As such, this is not a book for a casual reader or someone without significant software engineering knowledge. The book is very well organized such that the material builds on itself in a ver From when I first learned about the existence of bitcoin, I've had a vague understanding of generally how it works, but I had never taken the time to actually dig deep. This book is a fantastic deep dive into the nitty details of bitcoin, going as far as explaining the byte layout of transactions and blocks. As such, this is not a book for a casual reader or someone without significant software engineering knowledge. The book is very well organized such that the material builds on itself in a very rational progression. The groundwork is laid down meticulously with well thought examples such that you always have the tools needed to explain the current system. I didn't find myself flipping around too much, something I often do with technical books, because I just didn't need to do so. After reading this book I am almost convinced that Andreas was part of the team that invented Bitcoin. He has such an in-depth knowledge of all aspects that I think its hard to just acquire by curiosity alone. On Page 219 he calculates a SHA256 hash of "I am Satoshi Nakamoto". To me, this reads as an inside joke. This is a good technical book describing the inner workings of bitcoin protocol. It explains how public keys are generated from private keys using Elliptic curve multiplication, explain After reading this book I am almost convinced that Andreas was part of the team that invented Bitcoin. He has such an in-depth knowledge of all aspects that I think its hard to just acquire by curiosity alone. On Page 219 he calculates a SHA256 hash of "I am Satoshi Nakamoto". To me, this reads as an inside joke. This is a good technical book describing the inner workings of bitcoin protocol. It explains how public keys are generated from private keys using Elliptic curve multiplication, explains how wallets work (Deterministic, Ideeterministc, Hierarchical, SPV), explains how transactions work(verifying that scriptSig and ScriptPubKey match using Script(stack-based language)), explains the blockchain as distributed ledger, Merkle trees as a efficient way of storing all block transactions, mining, security and everything in between. This is one of the best technical books I've ever read and one of the most fascinating books in general that I've read as well. Andreas Antonopolous is a truly visionary thinker with a gift for explaining the complex simply. This book is written for computer scientists, and as a programmer, it was a true joy to read. It explained so expertly every facet of Bitcoin and gave excellent code examples for many of the chapters that were easy to get running. Bitcoin is a fascinating and ingenious invent This is one of the best technical books I've ever read and one of the most fascinating books in general that I've read as well. Andreas Antonopolous is a truly visionary thinker with a gift for explaining the complex simply. This book is written for computer scientists, and as a programmer, it was a true joy to read. It explained so expertly every facet of Bitcoin and gave excellent code examples for many of the chapters that were easy to get running. A competent author turns Bitcoin inside out explaining each and every aspect with clarity and accuracy. All the chapters are very readable and the author is very good at presenting enough material to let the reader follow along, while postponing further details for later. Basic knowledge of computer and network operations, JSON, as well as essential cryptography is good to have. A few code samples throughout the book use C++ and python Bitcoin libraries but they are really irrelevant to understandi A competent author turns Bitcoin inside out explaining each and every aspect with clarity and accuracy. A few code samples throughout the book use C++ and python Bitcoin libraries but they are really irrelevant to understanding the text and how Bitcoin works. As an engaging public speaker, teacher and writer, Andreas m Andreas M. Antonopoulos is a technologist and serial entrepreneur who has become one of the most well-known and well-respected figures in bitcoin. He is the author of two books: “Mastering Bitcoin”, published by O’Reilly Media and considered the best technical guide to bitcoin and “The Internet of Money”, a book about why bitcoin matters. As a bitcoin entrepreneur, Andreas has founded a number of bitcoin businesses and launched several community open-source projects. He is a widely published author of articles and blog posts on bitcoin, is a permanent host on the popular Let’s Talk Bitcoin Podcast, and a frequent speaker at technology and security conferences worldwide. Andreas offers strategic consulting to a small number of crypto-currency companies that are aligned with his interests. He also offers expert witness testimony as an expert in the security, technical details and use of crypto-currencies, worldwide.